If you have been accused of an assault or threat crime in Hamilton or anywhere else in New Jersey, you may be surprised by the severe repercussions that conviction could carry. 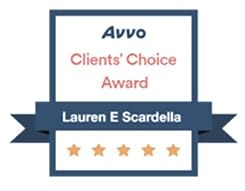 At the Law Offices of Lauren E. Scardella, I am a Trenton assault & threat crimes lawyer who handles all types of assault and threat crime cases, whether the charge stems from a domestic dispute, a bar fight, or an otherwise harmless argument or misunderstanding. Because many NJ threat crimes do not actually require an allegation that the victim was physically injured, threat charges often originate from a misunderstanding. Assault and threat crimes are considered violent crimes in New Jersey and therefore carry potentially harsh punishments that must be taken seriously. If you face assault or threat crime charges in New Jersey, you need competent legal advice. 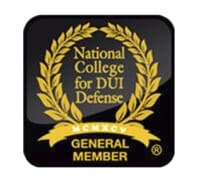 I have worked on both the prosecution and defense sides of this issue, and I have cultivated a thorough understanding of what it takes to defeat allegations of assault or threats. I am a compassionate and hands-on attorney who goes the extra mile for each and every client. I was recognized as a Rising Star in the 2018 Super Lawyers publication, and in 2017 I was named Young Lawyer of the Year by the Mercer County Bar Association. 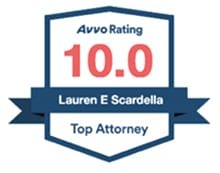 I have also obtained a perfect 10 AVVO rating for exceptional legal services, which is the highest rating that an attorney can achieve. 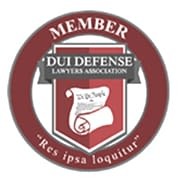 I am available day or night to discuss your Mercer County or Middlesex County assault case at 609-587-1144, and I provide a free initial consultation. Simple assault offenses are generally classified as disorderly persons offenses or petty disorderly persons offenses under N.J.S.A. 2C:12-1. Simple assault is punishable by up to six months in jail, community service, probation, and monetary fines. Harassment is typically a petty disorderly persons offense under N.J.S.A. 2C:33-4, and a conviction can result in up to 30 days of jail time. If you have been charged with an assault or threat crime in Hamilton, Robbinsville, Hopewell, South Brunswick, or anywhere else in NJ, it is important to take these allegations very seriously. At the Law Offices of Lauren E. Scardella, I understand how difficult it is to suddenly be faced with criminal charges, and I will leave no stone unturned in advocating to keep your criminal record clean. Call my office at 609-587-1144 or fill out the online contact form to schedule a free initial consultation. We will discuss your options and how I will proceed to obtain the best possible result in your NJ assault case. My office is centrally located near the five points in Hamilton, New Jersey. I accept all major credit cards and offer flexible scheduling for your convenience. The law firm office is at 2653 Nottingham Way STE 1, Hamilton Township, NJ 08619. What is a threat crime in New Jersey? Threat crimes in New Jersey are generally characterized as violent crimes, even if no actual violence takes place. Threat crimes can include stalking, harassment, and terroristic threats. Harassment is a petty disorderly persons offense that can result in a maximum $500 fine and up to 30 days imprisonment in the county jail if the prosecution can show that the accused intended to harass the victim. Stalking charges are much more serious and can be punishable as a third or fourth degree crime, with a conviction resulting in more significant prison time. Why is harassment a violent crime in New Jersey even absent physical harm? New Jersey classifies many threat crimes as violent crimes, partly in order to prevent one party from taking actions that would cause another party to fear for their safety. In many cases, harassment charges are so entangled with issues involving violence, especially domestic violence, that the New Jersey legislature has decided to characterize harassment itself as a violent crime. Regardless of the rationale, if you have been accused of harassment in NJ, it is important to take the allegations seriously and consult an experienced criminal defense lawyer as soon as possible.